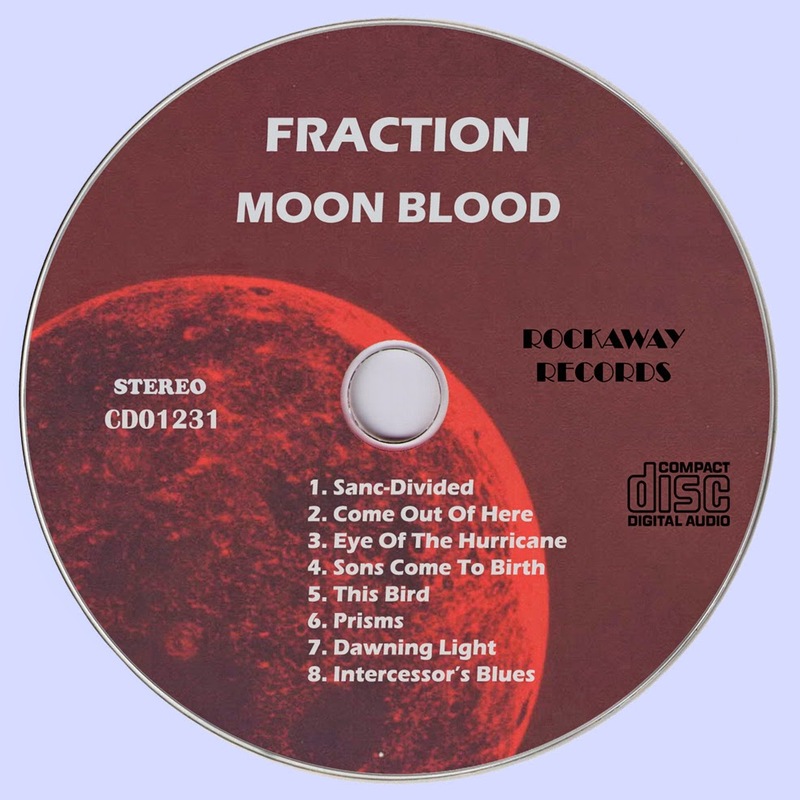 Heavy Psych mega monster of the best quality imaginable. This is a $2000 mega rarity. 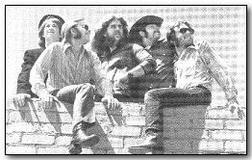 It's been said to be the album The Doors had wished they had recorded. 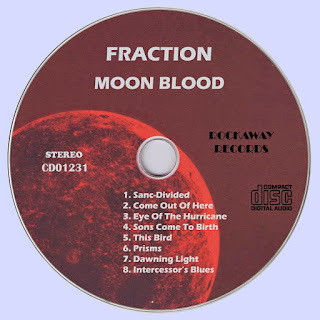 If you take The Doors and a way wasted beyond belief Jim Morrisson sounding vocalist and some heavy duty amplification and a dark eerie vibe of say Iron Butterfly or Black Sabbaths debut you will be close to what this monster is all about. Strange apocalyptic lyrics (virtually indecipherable without the lyric sheet) that are not your typical Christian fare by any means. 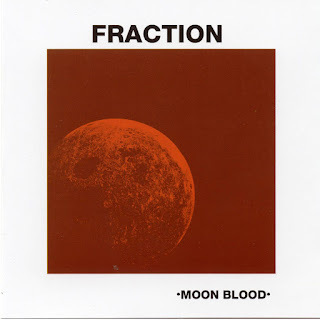 There are very few albums in the psych/punk/hard rock/private presses strata that garner the sort of universal awe and accolades that Fraction’s almighty Moonblood LP does, and even fewer records in the world that could be dubbed ‘Christian Rock’ incur such fierce devotion. 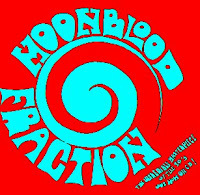 Indeed some records just meteorically lift themselves out any genre tag with brilliance and sheer defiance–and Moonblood is surely one of them. Assembly line production of the Fraction reissue, handmade with love at the Mexican Summer headquarters. 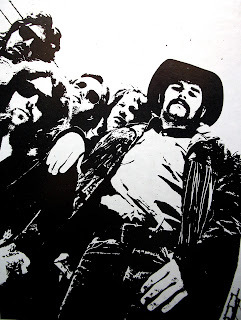 After numerous bootlegs over the years, an official reissue with a bonus 10-inch disc has been issued through Mexican Summer. More people probably hear Fraction on one day in 2012 than did during their entire run in the early 70s. It was even playing as I walked into a bar in Helsinki last year. 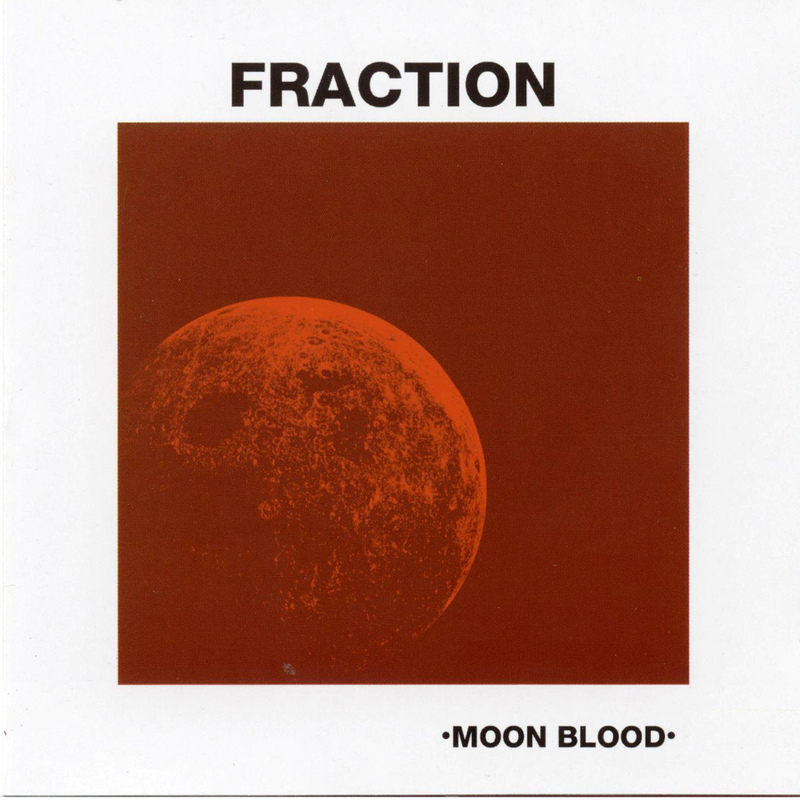 An original Fraction Moonblood LP, with the red celophane covered moon emblem album cover still in-tact, with a mint LP, is worth about $3500+ depending on how bad the collector wants it. 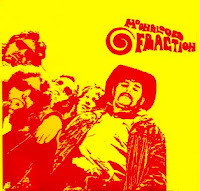 This is generally considered the Holy Grail of all Christian psychedelic rock LPs. 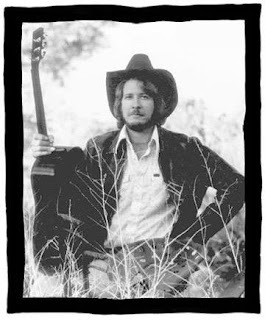 Guitarist Don Swanson passed away in May 2013, Jim Beach reported on May 26, 2013 via facebook: "Don Swanson passed this week; One of music's Most creative and forceful guitar players, ever. He was a loyal friend and influenced most everything I ever sang. I will miss him dearly; Until we play again. Don God speed!"